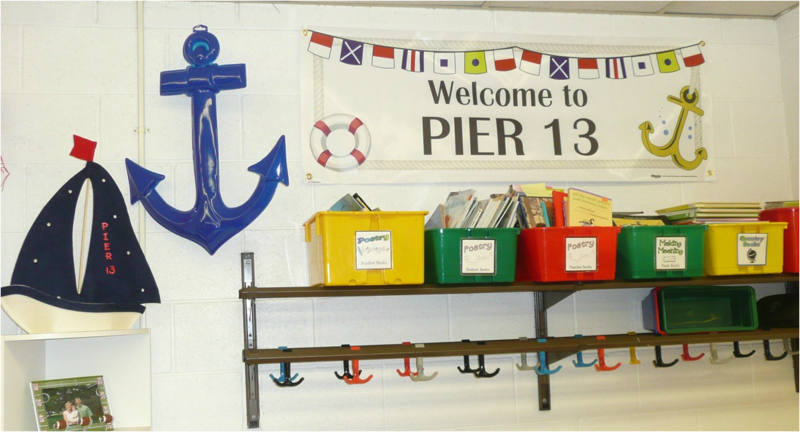 Outside of our classroom, visitors are immediately introduced to the sailors that they will find on Pier 13! I used scene setters as the back drop for the posters to create a dramatic hallway display. 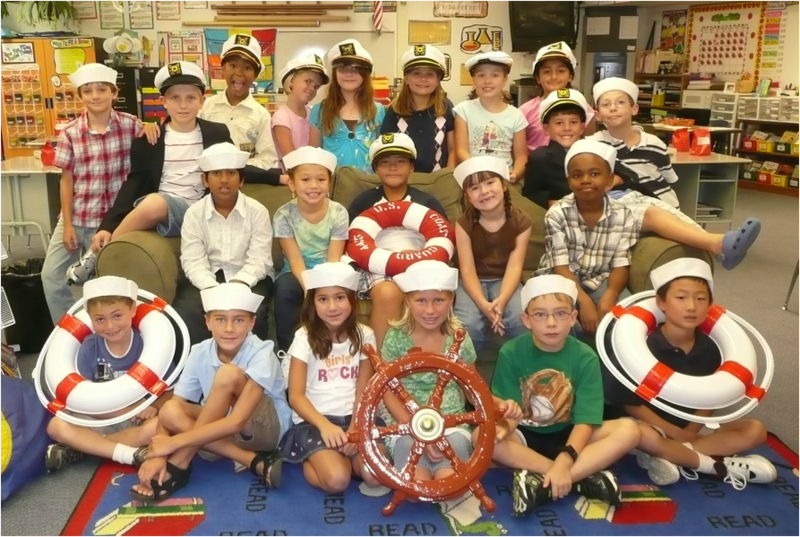 On the first day of school, each student took a picture wearing a sailor cap and a navy blazer and holding a plastic steering wheel. 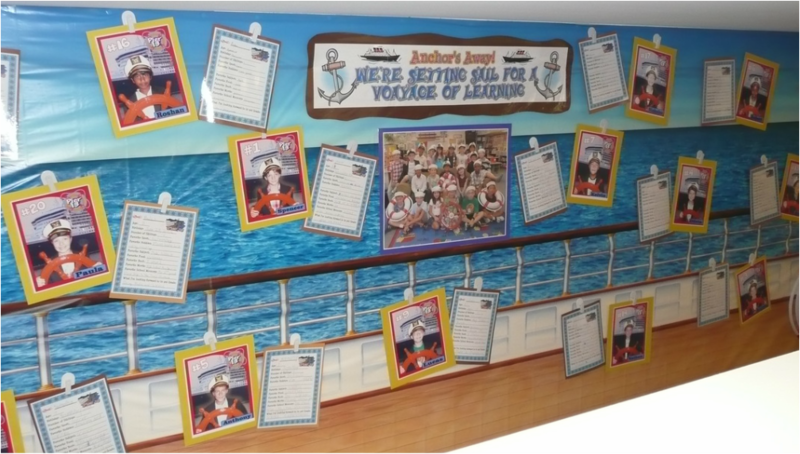 I then used Print Shop to crop the students' bodies and insert them onto a cruise ship background. 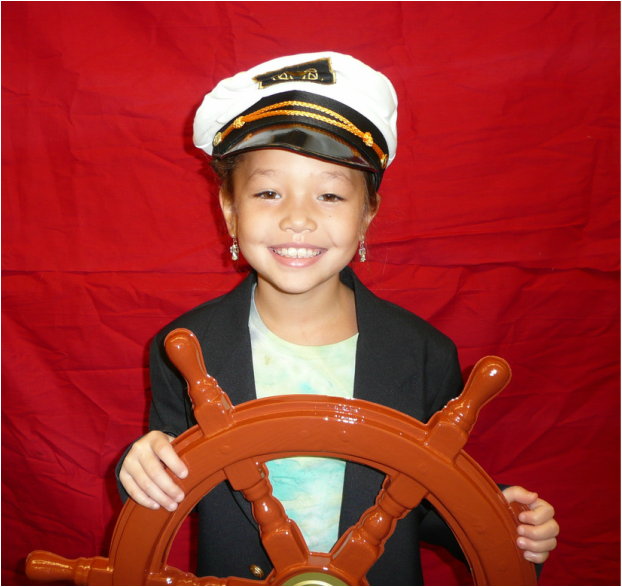 Students also completed a "Sailor Profile" in which they described themselves and their personalities. If you do not have Print Shop, you can just take students' photos in front of a cruise ship scene setter or a large ocean poster. I purchased my cruise ship scene setters online at Windy City Novelties. Nautical-themed material from a fabric store is used as a tablecloth, and a lantern sits atop the table. Fish netting, plastic sea creatures, and porthole stickers help decorate an otherwise empty space above the cabinets. Students' photos are posted on lifesavers on our classroom door. 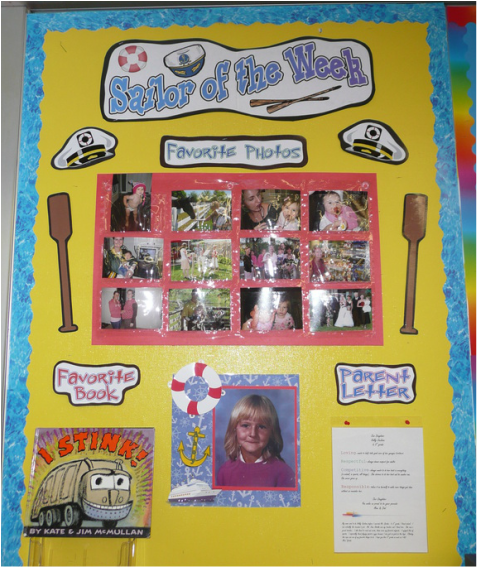 Our student of the week is called the "Sailor of the Week" and adds things to this bulletin board during his or her special week. Word study center rotation groups are given sea creature names.